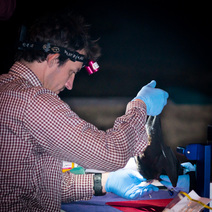 My research interests are on the ecology and conservation of bats on islands. I received a Bachelors of Science from Rutgers University in Natural Resource Management and Animal Science. My interest in bats began in 2004 while working for the U.S. Geological Survey at the Kīlauea field station in Hawai`i Volcanoes National Park. In 2012 I received a Master’s of Science degree in Tropical Conservation Biology and Environmental Science from the University of Hawai`i at Hilo, studying the seasonal movements and feeding ecology of the Hawaiian hoary bat. This research demonstrated how bats in Hawai`i seasonally move across an elevation gradient in response to changes in temperature, rainfall, and insect abundance. Over the past 10 years I have also conducted research on the foraging ecology of Epauletted fruit bats in Kruger National Park, South Africa, tent-making bats Uroderma bilobatum, in Costa Rica and Pteropus mariannus in the Mariana Islands. 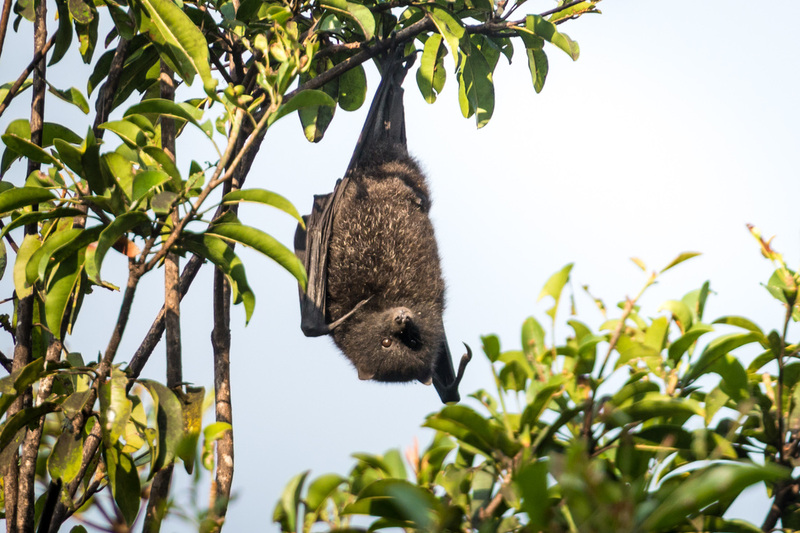 ​The Christmas Island flying-fox (CIFF) is the last remaining indigenous mammal on Christmas Island, a remote, beautiful, and ecologically unique part of Australia. However, Christmas Island’s biodiversity is under threat from anthropogenic change. This is evidenced by the extinction of two native rat species, and the only two mammal extinctions in Australia in the last 50 years: the Christmas Island shrew (Crocidura trichura), and the Christmas Island pipistrelle bat (Pipistrellus murrayi). In addition, there have been significant population declines in most endemic birds, and all but one endemic reptile have been lost from the wild. The CIFF was listed in January 2014 as Critically Endangered under the Commonwealth Environment Protection and Biodiversity Conservation (EPBC) Act 1999. The latest population estimates suggest there are no more than 900 individuals and population trends show that if the causes of decline are not identified and remedied, it too will become extinct. The precipitous decline of the CIFF has serious implications for Christmas Island’s endemic flora and fauna as its role in seed dispersal and pollination is critical for maintaining the health of the island’s unique ecosystems. The CIFF’s decline is paralleled by that of other fauna on the island, pointing to an unidentified but widespread malaise within Christmas Island’s ecosystems.